Musictech | Music Technology that Works! Musictech is the New Zealand distributor for Mixcraft 8 and Mixcraft Pro Studio 8 music software. Mixcraft 8 site licences are available for schools and other education institutions. Find out more here on our Education page. Chris Mason-Battley is one of NZ’s leading music education technology specialists. Chris is a musician, composer, registered teacher, sound engineer and music tech consultant. Chris has been providing music technology support to schools for the last 15 years – installing and maintaining music technology equipment and software, training teachers and tutoring students in music technology and composition. 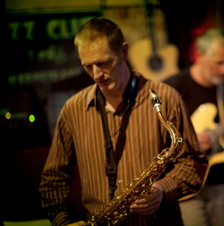 Chris also leads the CMB Group, a contemporary jazz group who perform at top NZ venues and festivals and have recorded four albums – their latest album, ‘Dialogos’, features improvisation based arrangements of compositions by John Psathas.